Here you can follow learn about the series, follow season results, and comment on races. In the entries that follow you will find details about series teams and drivers, rules, playing via VASSAL, season standings, and race results. Formula BG World Series powered by VASSAL is an online racing league playing Formula D. The series season is seven races long with individual race winners along with season championships for a driver and a constructor (team). Races are held on a schedule agreed to by the owners, but the aim is to hold races every other week. The target race night is Thursday at 8pm Central time. 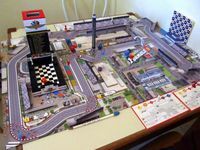 The series is made up of the following teams, owners (BGG members) and drivers (fictitious). Colors are based on the VASSAL version of the game. tsnouffer also serves as series Administrator. Owners are responsible for providing players to act as drivers for their cars. Owners may play as drivers. They *may* run both of their cars in a race to help keep the field full. However, they may recruit other players on a permanent or ad hoc basis. Additionally, other ad hoc players who express an interest in playing will be assigned as a driver for a team on a rotating basis. Owners are expected to allow these ad hoc players to have a seat in one of their cars. It is up to the owner to decide if that is as the #1 or #2 driver. The Series Administrator will also work to promote the Series and recruit owners and ad hoc drivers. 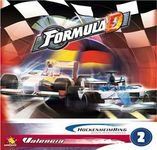 The Series will primarily be playing using the Formula D Rules for Advanced Players found in the box. 1) Standard qualifying - i.e. by a single die roll. Team and driver scoring is handled as per the optional rules in the Advanced Rulebook. However, no team winner is declared for individual races. A Driver's Champion is declared at the end of the season based on their total points accumulated over the season. A Constructors' Champion is declared at the end of the season based on their total points accumulated over the season as earned by their two drivers. Overrevving - you could burn an engine to 'over-rev' and make it one space to the corner, but it cost an engine and leaves a debris. Incentives for finishing - Perhaps qualifying bonuses to drivers that finished races. The BGG members below have participated in Series races in the past or have expressed general interest in playing as an ad hoc driver. They may be worth contacting if you are looking for a driver for your team. As you prepare for race night, make sure you have the technical components lined up by following the guidelines that follow. I encourage you to get the appropriate files and play around with them. 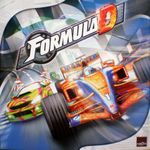 Place the track files in a folder named FormulaDE-2.1_ext that is subordinate to the module file. The night of the event, launch the Formula De module. Select the "Join a Game Online" option. This will put you in the Main Room online. You should see another room in the list once I have it open. Right click on that room in the list and you'll see an option for Join Room. Select that and you'll sync with the room provided you have the tracks installed properly. Too much to think about? Let me know and I can help walk you through it sometime. SKYPE: I'll have a room running for folks who want to join via Skype as well. My ID is tysnouffer so please add me before the event if you are interested. In the test run, everyone joined by Skype and it helped a lot. If you've followed the instructions and downloaded the VASSAL components, you may have noticed that the dashboard is different from what is in the box. I've labelled the equivalent in the pic below. The black "X" in each row show the starting position. So in the pic below, you're starting with 6 tire WPs. Good racing tonight. deTomaso caught two quick debris and was eliminated early. Other than that though it was a pretty clean race. Tight race throughout. No DNFs. Weather wasn't much of a factor. Good times . . .
Great racing. One DNF toward the end of the first lap. Five cars in contention through the second to last lap. Home Cheapo pulled through again!